Cisco Network diagrams are used to display the topology of a Cisco network, that helps to manage and control the network and the services it uses. Also, the Cisco Network diagram can be used for educational or presentation needs, or as an illustration for a professionally-oriented analytical article. Building Cisco network diagrams is the best way to depicting how a network operates. This visual information will greatly improve your understanding of computer network topology and how it will work and what is required in order to setup a Cisco powered network for your business. The ability to diagram a Cisco Networks is provided by the ConceptDraw Cisco Network Diagrams solution. The solution contains extended Cisco libraries more than 500 vector stencils of Cisco network symbols and icons. 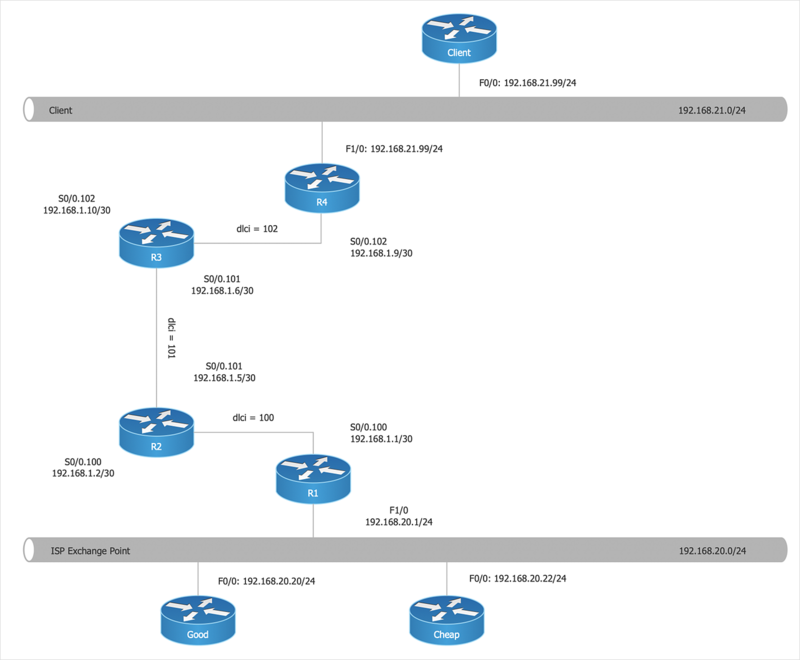 Run a ConceptDraw DIAGRAM new document and open libraries from the Cisco Network Diagrams section. ConceptDraw DIAGRAM gives you the ability to collect the proper library objects quickly using the ConceptDraw internal search system. The object will be found and displayed in the search result. Single click on an object, and then click on the document the object will be inserted into the document. To find related objects, right click on an object, and choose the command Open Parent Library the library containing this shape will be opened. Add the Cisco Network symbols to the diagram by dragging them from library to the document page. Use the Smart Connector tool to connect objects on your diagram. . Just drag the connector from one connect dot to another. Result: You can use a Cisco Network diagram to display the topology of a Cisco ISG, that helps to manage and control the network and the services it uses. You can modify this example with just a few clicks, add any additional Cisco icon if needed and generate an illustration that is well suited to your needs.